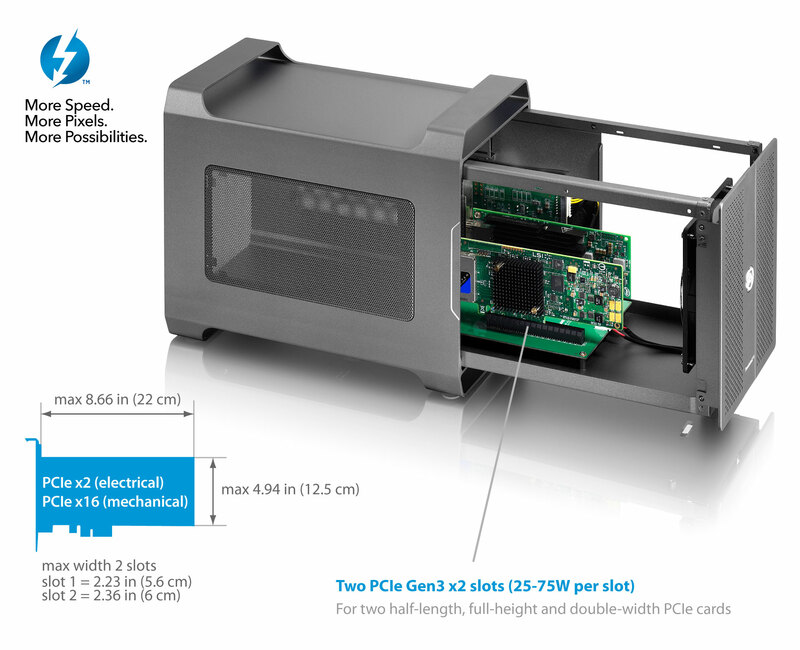 I was wondering if there is any eGPU enclosure that allows for 2 GPUS connected. AKiTiO Node Duo may work. It's not available until August. You can only install ITX GPUs though and will need a beefy PSU to power both cards. Something like this but Full length cards at double width with like a 600+ psu. I have two 2 eGPU's, a Mantiz Venus and a Razer Core X, My iMac is 27" with 2 TH3 USB-C ports. Ok, so my problem is My GTX 1080Ti is being found but not my GTX 980Ti. It's coming up with NVIDIA Chip Model? Can anyone advise me on what I can do?